Want To Give Somebody A Driving Day Gift? Know somebody who absolutely loves driving? Want to give them something different for their birthday or as a graduation gift? Driving day gifts are an excellent way to give somebody an epic experience like no other. Ideal for anybody who’s always wanted to drive like in a Scandinavian movie, Phil Price Rally School offer unbeatable driving experiences to our valued customers. With our gift vouchers, you can give your friend or relative the ultimate adrenaline kick and take their mind off any troubles they might be having. Get strapped in for the ride of a lifetime. They’ll have the chance to get behind the wheel of a Subaru Impreza and go speeding round one of the best rally stages in the UK, learning the latest techniques and tearing round corners like it’s nobody’s business. This will peak in an incredible race against other rally drivers, where they’ll get the chance to take home the winner’s trophy. 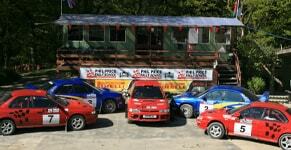 With four fully-prepared rally cars for every course, Phil Price Rally School is absolutely top for this type of experience. Our venue offers breath-taking views over the Welsh countryside and is often used for pre-event testing. 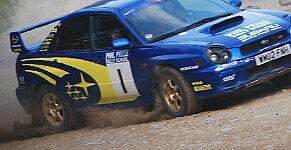 An action-packed day from Phil Price Rally School will take you on over three-miles of genuine forest rally stages. Will your loved-one be going home with the winner’s trophy? Don’t worry, if not they’ll still get a runner’s up plaque! Why not read more about our driving day gifts today?